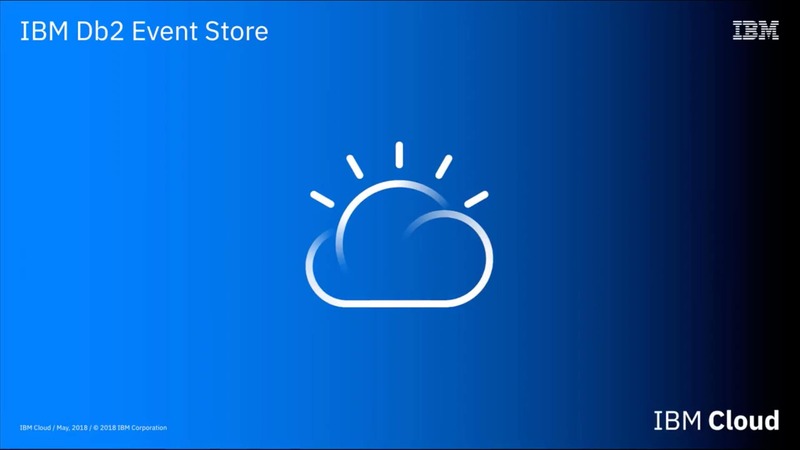 IBM Db2 Event Store is now part of the IBM Hybrid Data Management Platform. What is IBM Db2 Event Store? Get started with Db2 Event Store by taking a product tour or exploring the demos and an interactive hands-on lab. Reuse the code in the code-pattern demos, such as clickstream analysis. Use a step-by-step tutorial with our free developer download edition to stream data with Apache Kafka into the Db2 Event Store. Install this no-cost edition for Mac, Windows or Linux to get the functionality of Db2 Event Store for developers. Intended for development use and trials, it supports a single user. Install this edition on a single Linux server or 3-node cluster. It adds support for high availability, REST APIs and an administration console. Get a development and delivery environment for streaming applications and microservices. Couple Lightbend Platform technologies with Db2 Event Store for data persistence and with Watson Studio for AI. In IBM Fast Data Platform, Lightbend and IBM teamed up to bring together the tools needed to rapidly capture and analyze large volumes of data in real time. The joint offering includes all the essential tools to build, run and monitor event-driven, streamed applications and microservices — infused with AI and machine learning. Event-driven applications enable businesses to detect and act on events, such as anomalies that disrupt manufacturing lines, or changes in the adequacy of bank capital. Access the right resources to fit your needs, from expert talks to technical demos.